Harvest Vine in Seattle makes a brunch worth the two and a half hour drive from Vancouver. Yes, that happened. 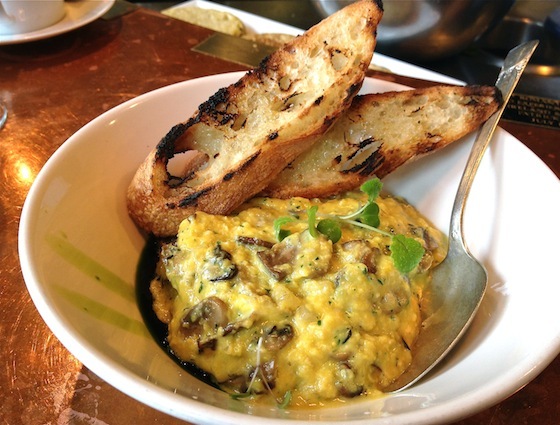 Of all the gorgeous, Spanish tapas-style dishes on their menu, the Lightly Scrambled Eggs with button mushrooms, onion confit and thyme, was the best. Here’s my go at it. Add mushrooms to eggs, then remove pan from heat when eggs’ texture is pudding-like.